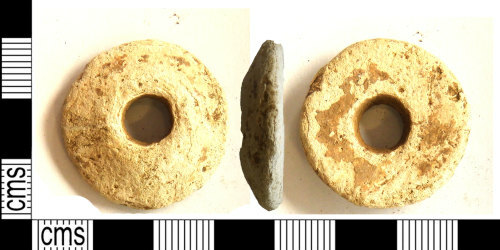 Early Medieval lead alloy spindle whorl. Thickness: 20 mm, diameter: 23 mm, int. diameter: 11 mm, weight: 21.98 grams.